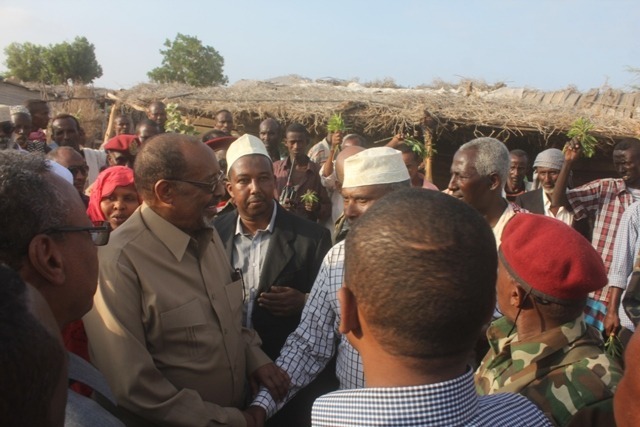 The Somaliland President Silanyo Travels to the Western Regions. The President plans to meet with the Western regions governers and and traditional Somaliland leaders as well as the ruling party officials. President Silanyo has visited Borama, the regional capital of Awdal, where the head of state has officially opened the Dilla- Borama road which was implemented by ASARDA an organization established for the development of Roads. SARDA has received a help from the government of Somaliland to achieve the completion of the road that links Dilla to Borama. The president is accompanied in his trip to Awdal by members of his cabinet and Manager of the Road Authority. The president finishes the task of laying foundation stones of new Somaliland development projects and officially President Silanyo openis other development projects.